File a claim under a person’s broad form or standard collision coverage insurance policy. File a claim under a person’s limited collision coverage (with or without deductible) insurance policy. File a claim for a $1,000 mini tort recovery (as of October 1st, 2012). Sue the “at fault” driver, but only under limited circumstances. I discuss each of those options in greater detail below. 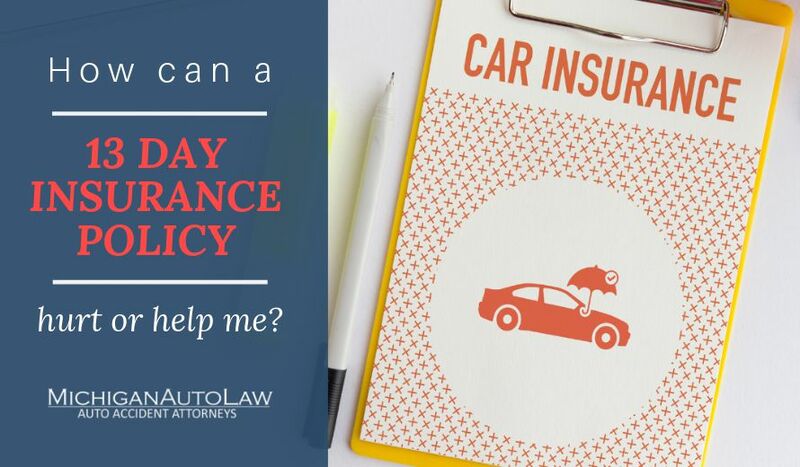 However, if the operator or driver of the covered vehicle is “at fault” for the accident, then the auto insurance company will not cover the vehicle damage repair costs. Accordingly, the vehicle’s owner will be personally responsible for all of the vehicle damage repair costs, unless an alternative payment source can be identified. Pay directly for vehicle damage repair costs: If the owner of the damaged vehicle does not have collision coverage, then he may apply his $1,000 Mini Tort recovery directly toward payment of the full amount of his vehicle damage repair costs. If an “at fault” driver was uninsured, i.e., operating a vehicle that was not covered by a valid No Fault auto insurance policy, then he may be sued and held personally liable for the full amount of the repair costs incurred by the owner of the vehicle that was damaged by the “at fault” driver. Generally, the owner of a car or truck that was damaged in a Michigan motor vehicle accident is prohibited from suing an insured “at fault” driver for the full amount of the vehicle damage repair costs. However, Michigan courts have determined the flipside to be true when vehicle damage arose from the “at fault” driver’s “ownership, maintenance or use” of an uninsured vehicle, i.e., a vehicle not covered by a valid No-Fault auto insurance policy. In other words, under Michigan law, full “tort liability” for accident-related vehicle damage continues to exist for the “at fault” driver operating a vehicle without No-Fault coverage. Under those limited circumstances, an uninsured “at fault” driver can be sued and held personally liable for the full cost of repairing the vehicle damage he caused.